Sorry I stopped the birthdays for a few weeks, but I’ve been really busy. Anyway, there are 5 artists’ birthdays that I am going to cover from the last post to the end of the month. The first is Mike Scheuchzer one of the guitarists for MercyMe. He turned 40 on June 8. I actually just have to share my favorite (and newest from them) music video as well as a picture. The second artist is Tai Anderson from Third Day. He turned 39 on June 11. He was the bassist for them but just resigned earlier this year. I thought I should still include him though. Here’s a picture. 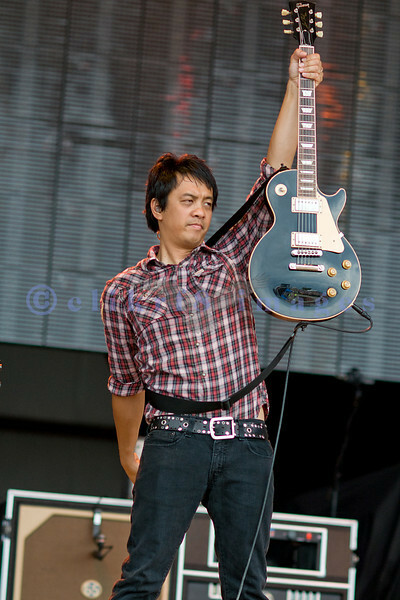 The next birthday I am recognizing this week is Jerome Fontamillas’ of the Christian rock band, Switchfoot. This Filipino musician plays guitar and keyboard for the band. He turned 48 on June 20. I love the band’s song, Meant To Live. Here is a picture. The next and final birthday in this post is Jonathon Steingard’s. The lead singer and lead guitarist of the band Hawk Nelson turned 32 yesterday, June 23. If you have never heard their song, “Drops in the Ocean”, then you can watch the video here as well as see a picture of Jonathon. Have a good week, y’all! !